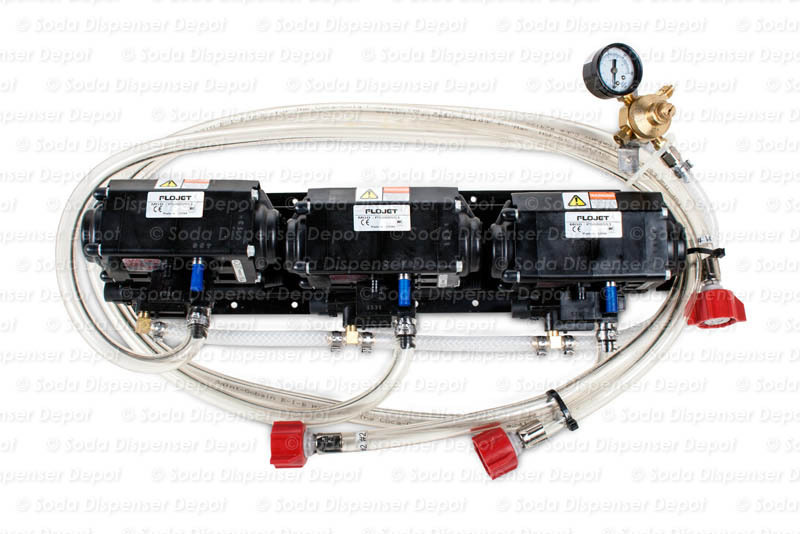 Three (3) flavor support equipment package w/ cold plate. 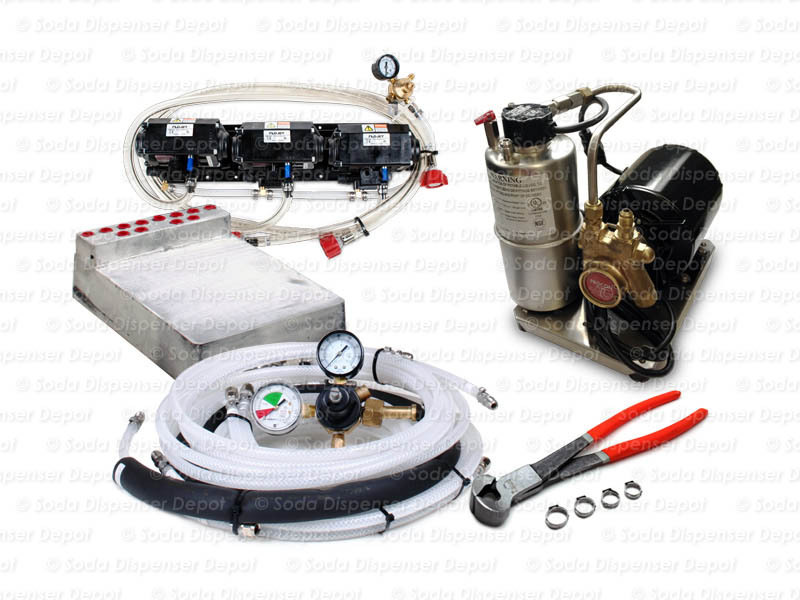 If you already have a 3-flavor soda gun, tower or draft arm dispenser, this support package will help complete your system set up. 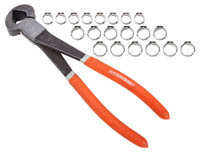 Please specify tubing size (3/8 or 1/4 in.) and Bag-in-Box connectors (Coke, Pepsi or Generic) when you place your order. 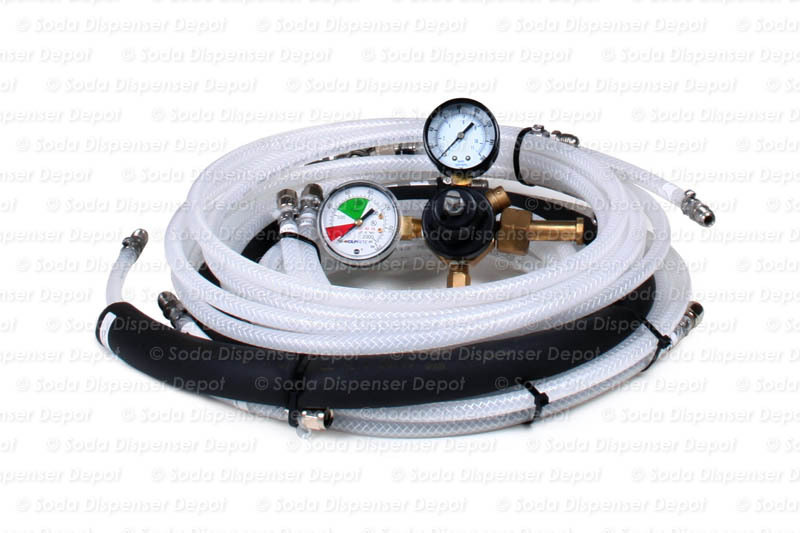 Check your dispenser to determine which size of tubing it will require. If you do not specify tubing size, you will receive 1/4 in. tubing. 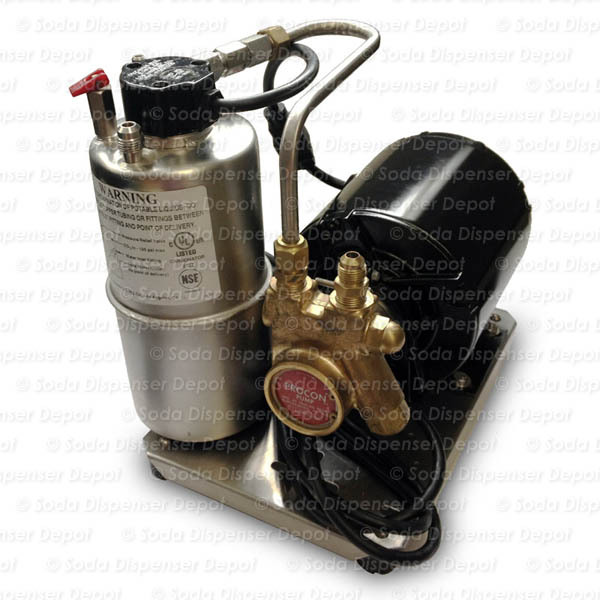 This package includes a cold plate, which needs to be submerged in an ice (wet) bath in order to properly cool your soda water and syrup lines. It is recommended that you install the cold plate into an ice chest or Igloo® cooler and cover with ice during use. 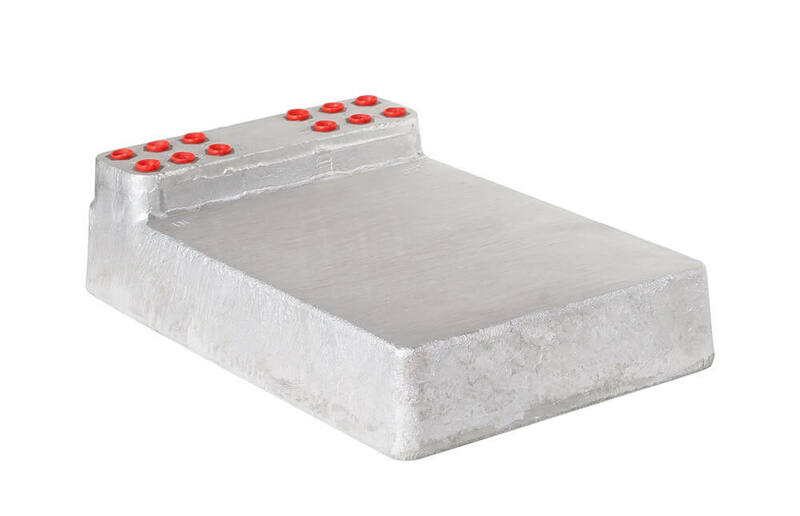 Installation of the cold plate into a refrigerator, while possible, is not a use recommended by the manufacturer and may adversely affect product quality. If you must install into a refrigerator, place the cold plate in a container of water to improve performance. DO NOT install the cold plate into a freezer. Doing so will simply freeze the liquid inside the cold plate, starving your valves, putting unneccessary pressure on the syrup pumps and possibly causing damage. For these reasons, a cold plate solution should only be used for custom DIY projects and is generally NOT recommended for most soda fountain installations. For support equipment packages that do not require manually filling an ice bin with ice, see our packages which feature a Remote Chiller. REMEMBER! You still need to provide ice, water, electricity, syrup and CO2.